It’s not because of the engine either. As if there already wasn’t enough to see at Airventure, how about a plane with a 1,000 watt sound system? The owner/builder of a one-of-a-kind monoplane called the Starjammer claims that the aircraft’s custom, built-in sound system can create sounds as loud as 200 decibels, which if accurate would make it the world’s loudest airplane ever. Louder than Concorde was, louder than a Space Shuttle. 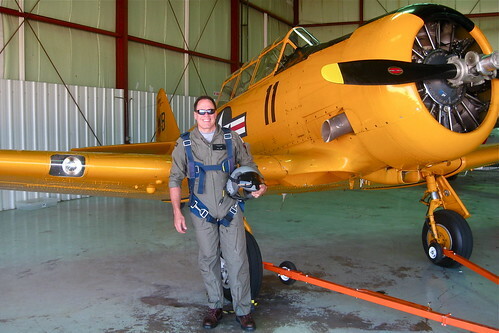 Elgin Wells, aerobatic performer and accomplished musician and composer from Atlanta, Georgia, built the Starjammer over the course of 14 years incorporating six speakers, including police siren speakers, which play music he composes to accompany his aerobatic performances. Wells says his system pushes 1,000 watts of power through the onboard speakers. The Starjammer also has 225 super bright LED lights installed in the winds and fuselage, and a smoke system with five streams – one in the center one on each wingtip, and two on the horizontal stabilizer – to create a super-sensory airplane for night air show performances. I can’t help wondering what was going through Mr. Wells mind when he put this on the drawing board. (Yes , that’s correct. I want a sound system that will strip the paint off my neighbor’s house). Had enough of that neighbor’s pesky rap music? Fight back with window shattering rock and roll. Bring your earplugs to Oshkosh! This entry was posted in Experimental, General Aviation. Bookmark the permalink. For a while in the UK I lived in Quonset–hut BOQ quarters on the RAF Bentwaters base of our twin-base complex near the end of the runway and commuted to the Woodbridge base. A fellow 78th guy living over there with me whose hut was closest to the field boundry/end of rnwy sneaked over and when 2 F-4Cs from the 91st were sitting at end of runway and running up their engines recorded the entire run-up process and t.o with full AB kick-in. We put it on small take-up for reel-to-reel play. You get style points for that. The J-79’s were pretty loud.